Coolmore Bees is a division of Coolmore Farm. We are located near Carrigaline, County Cork, Ireland. 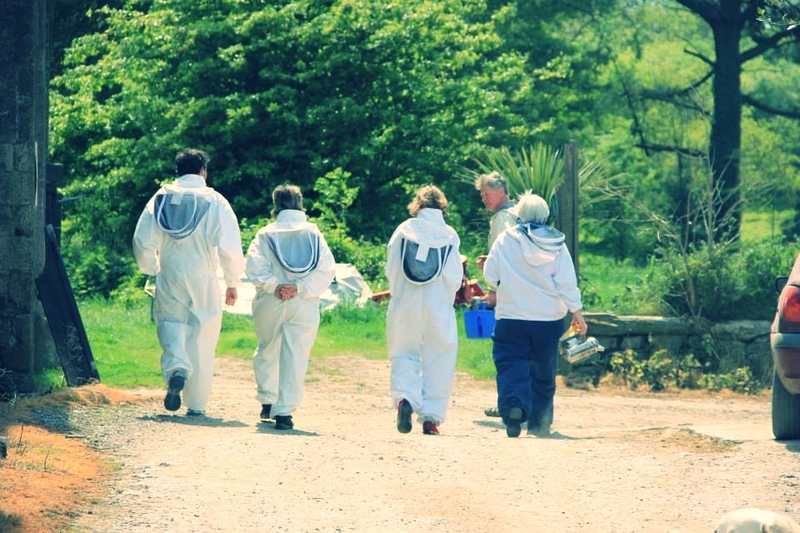 Our bees enjoy hundreds of acres of tranquil country setting, situated on a large peninsula jutting out into Cork Harbour. The rolling old pasture, and diverse mature woodlands are bounded on one side by the Owenabue River. Here we enjoy the mild, southern Ireland, coastal climate. Here at Coolmore Bees we believe in the conservation and improvement of our stocks. It is our wish that all Irish Beekeepers join together in protecting and improving our Native Irish Bee. Our breeding program is based upon accurate record keeping of colonies, selection of the best, and culling the less desirable. Coolmore bees is taking a break from nuc sales. We hope to be back up and running very soon. Thank you for your patience. The bees offered for sale are the product of our breeding program here at Coolmore Bees. They are of the Native Irish Bee variety, Apis mellifera mellifera. Our breeding stocks have been selected based upon observations favouring traits shown for docility, over wintering ability, disease resistance, and productivity. These ‘hands-on’ day courses are all about getting to know how to handle bees with the minimum amount of stress for both you and the bees. We will teach you how to approach, smoke and open the hive with the least amount of disturbance. It is most important to keep bees calm, especially if you are looking for the queen or doing general inspection and manipulation. This also includes marking and clipping the wings, which is essential for swarm control. We use the ‘gloves-off’ approach to beekeeping. If you need gloves to find the queen, you are either stressing the bees or you have undesirable bees. Here at Coolmore we think it is essential to complete a beekeeping course if you intend to keep bees. All of the honey comes from our bees here at Coolmore or from out-apiary's around Cork. Our new range of cosmetics are made from the wax collected from capping's during the honey harvest. From delicious jars of raw Irish honey, to beautifully packaged gift boxes, to everything you need to get started as a beekeeper, Coolmore Bees has something for you.